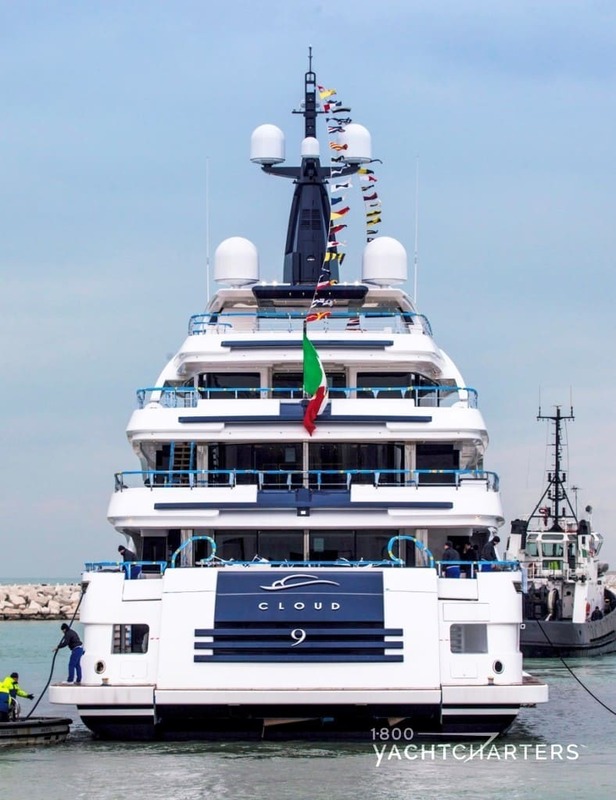 One of the largest builds by CRN of Italy, motor yacht CLOUD 9 is a 79 meter superyacht built for both the owner’s occasional use and for private luxury yacht charter vacations. Design credits go to Zuccon International Project for the exteriors and to Winch Design for the interior areas. While there are accommodations for 16 guests, regulations limit charter accommodations to 12 passengers. Based primarily in the Mediterranean, expect to see this Monaco yacht charter vessel turning heads from St. Tropez to Sicily for many summers to come. 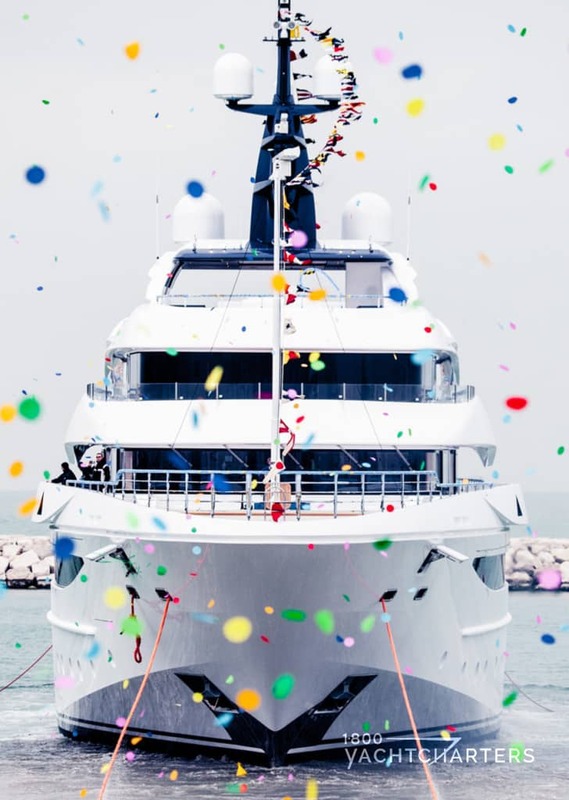 CRN yacht CLOUD 9 replaces the owner’s previous yacht of the same name (now named Ice Angel), a 60 meter motor yacht built in 2009 by CMN Yachts in Cherbourg, France. Winch Design was also responsible for the that yacht’s interior design. 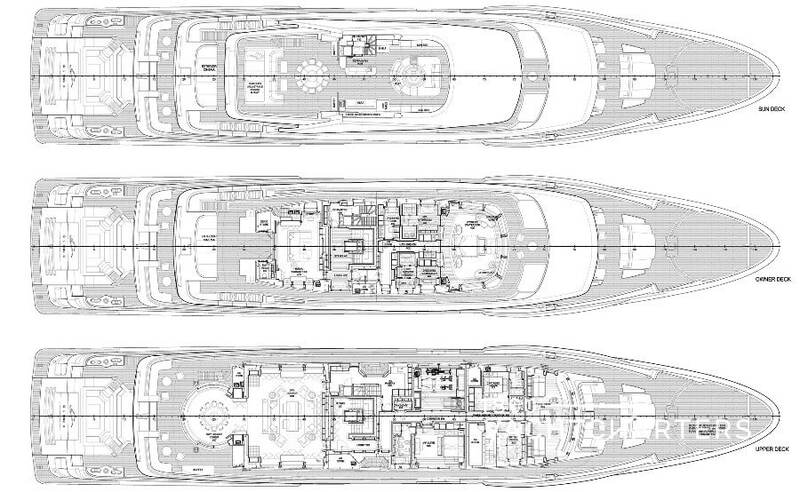 To adhere to safety standards, most private luxury yacht charter vessels are restricted to a maximum 12 guests; thus, 12 passengers have access to 8 guest cabins on this superyacht – including a master suite, a VIP stateroom, 4 double cabins, and 2 double cabins that convert into twins. This flexible arrangements makes this an ideal yacht for families, as well as charterers who travel with their own support personnel. The owner’s suite is located on the owner’s deck, and features a king size bed, with his and hers bathrooms, and dressing rooms. The upper deck hosts the VIP cabin with king size bed, bath and shower. The cabin doors can open to the outside are for fresh air. All other guest cabins are located on the main deck. 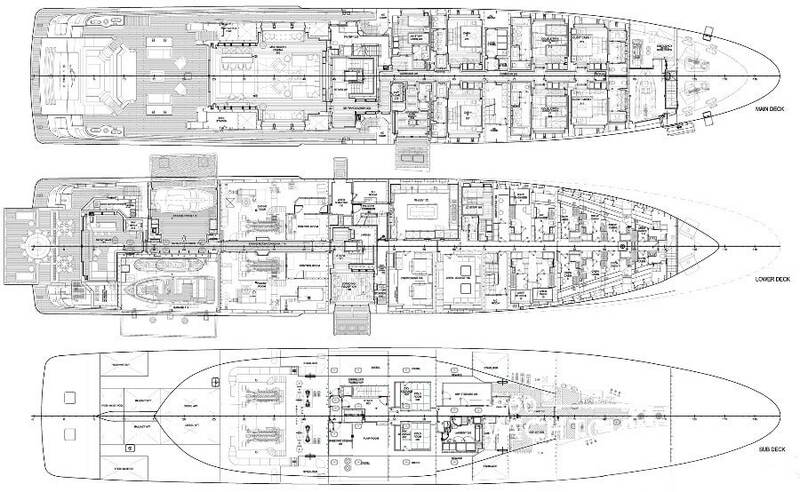 There are four king berths (200cm x 200cm) in each cabin, with two of the kings convertible to twins (200cm x 100cm). All guest cabins offer a private bathroom with shower. 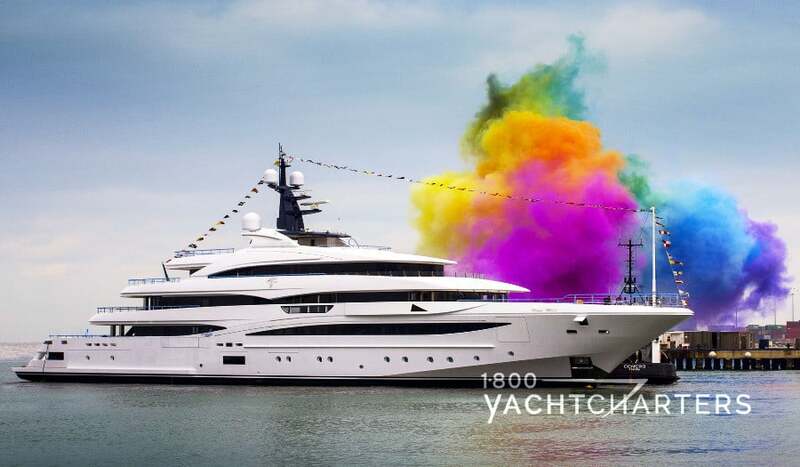 This massive yacht’s power comes from a pair of 2,682hp Caterpillar 3516C engines, generating a top speed of 16.5 knots and a maximum cruising range of 6,000 nautical miles at 12 knots.